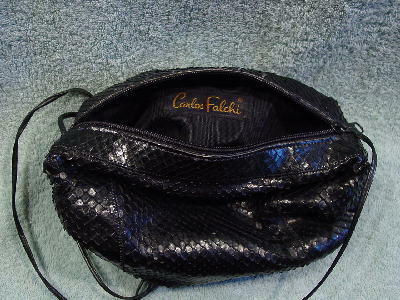 This vintage black vinyl embossed (faux) snakeskin purse is by Carlos Falchi. 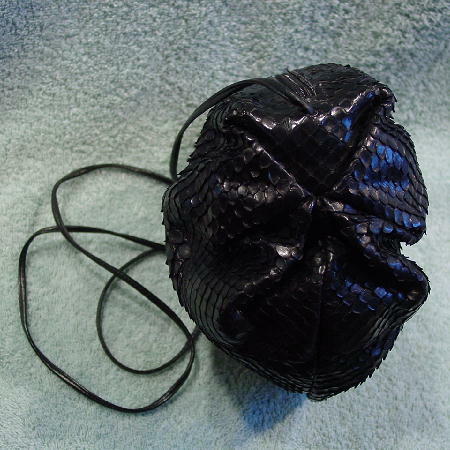 It's in an oval shape with gathering on each side and a top side to side zipper. There is a nice fabric lining with the Falchi name tag. It has a 60" thin shoulder strap. 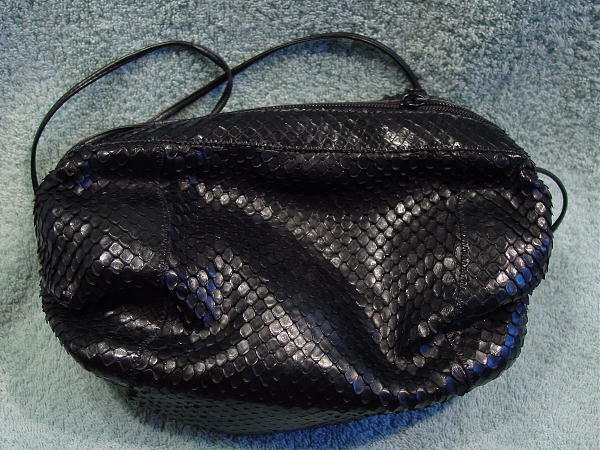 It's a great purse and quite roomy.